Class conducted in Spanish. 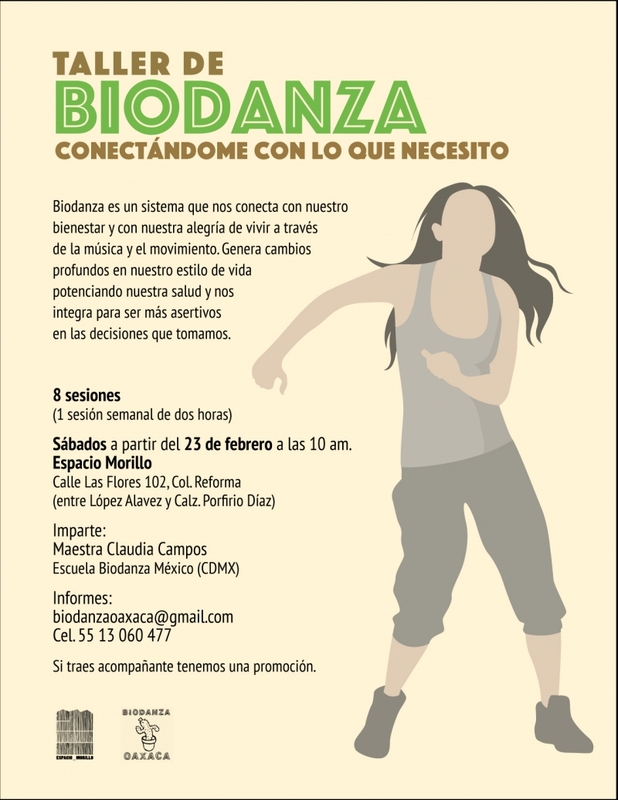 We gladly invite you to the Biodanza workshop, connecting with what you need, where we will work on our personal development, our potentials and how to find creatively the best solutions for the problems we face. 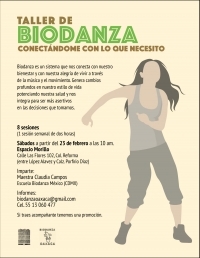 Le invitamos gustosamente al taller de Biodanza, conectándome con lo que necesito, dónde trabajaremos nuestro desarrollo personal, nuestros potenciales y en cómo encontrar de manera creativa las mejores soluciones para los problemas que debemos enfrentar.